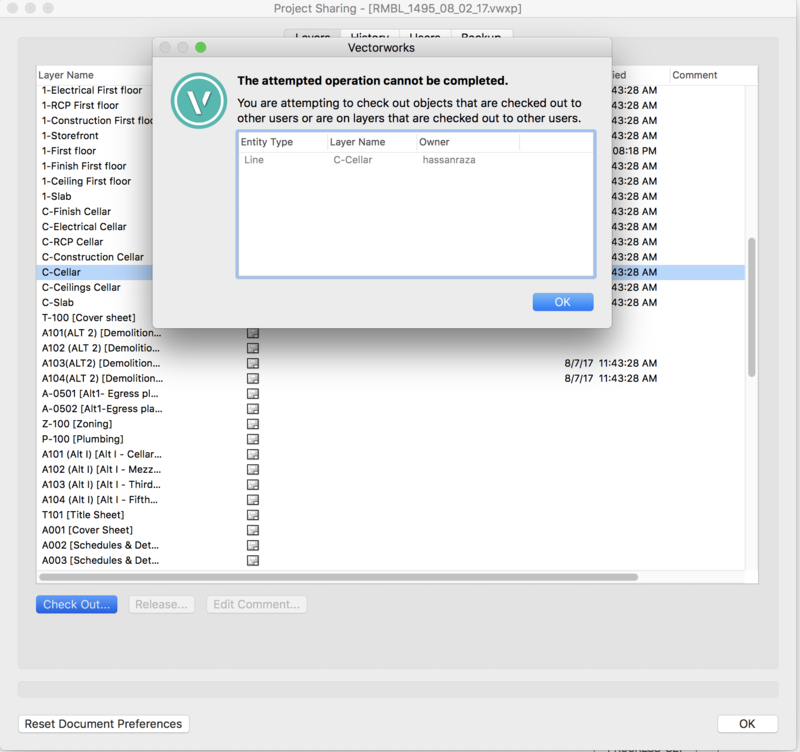 I am having trouble with a project sharing file. It automatically checkout layers and more importantly it shows me as person who checkout the layer. I can not release or checkout again. Please see an image showing the message I get, in this case I am the owner (hassan Raza) it won't let me do anything. It is not just the user that owns a layer, but also the Working File (.vwxw) you were using when you did the checkout. This looks to me like you are using a different .vwxw file now than you were before. If you plan to discard a Working File, you should be sure to Commit and Release everything in it. If you work with two Working Files at the same time, in each file you will only be able to work with the items you check out in that file. If your original file that owns this Line on the C-Cellar layer is gone, you will need to get an Admin to do a release of everything that you owned in that file.